It's Monday! This past weekend I noticed many squirrels in my backyard scurrying around. Kecia Waters on the blog today with a card inspired their nut gathering antics. 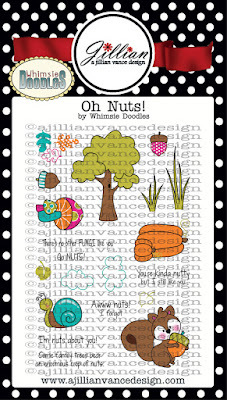 To make this card, I reached for the AJVD stamp set "Oh Nuts!" 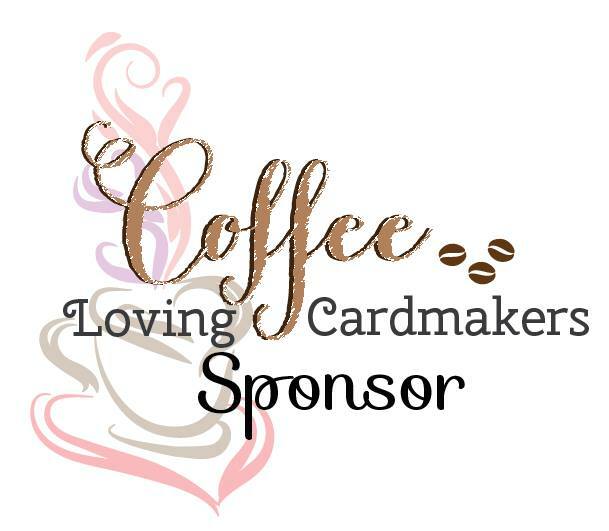 designed by Whimsie Doodles. I stamped the squirrel image with Memento Tuxedo Black ink onto X-Press It cardstock. I colored the image with Copic markers and fussy cut around the image. The card panel is a piece of patterned paper from KaiserCraft. I added a strip of kraft and a strip of white cardstock to the panel. 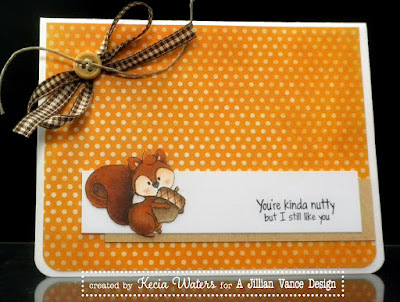 I stamped the sentiment, also from "Oh Nuts! ", with Versafine Onyx Black ink. I adhered the squirrel to the other side of the white strip. For some finishing touches to the card, there is a ribbon treatment with a button and twine. 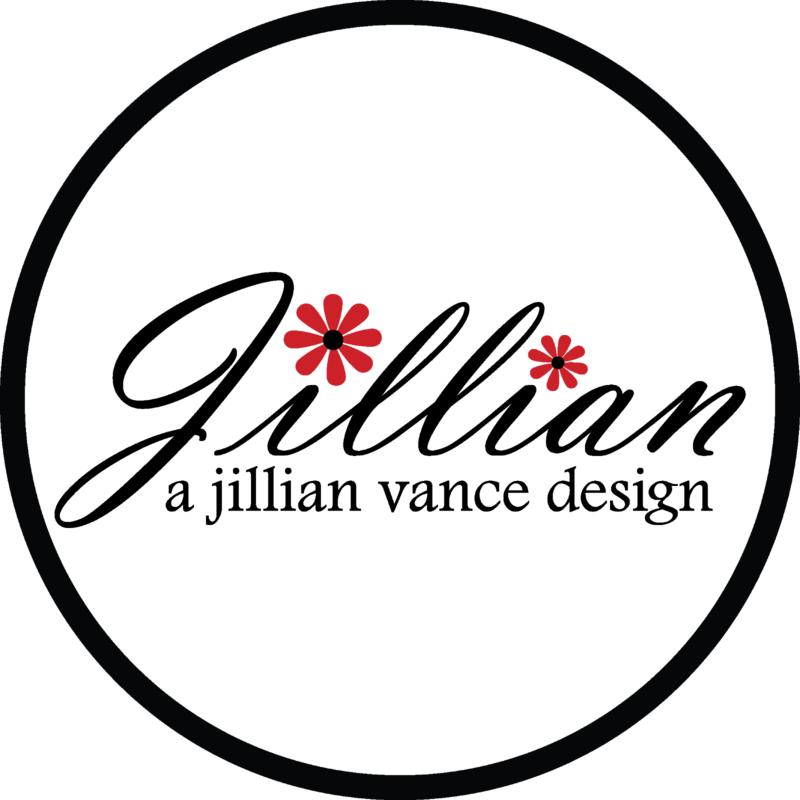 Thanks for visiting the AJVD blog today. 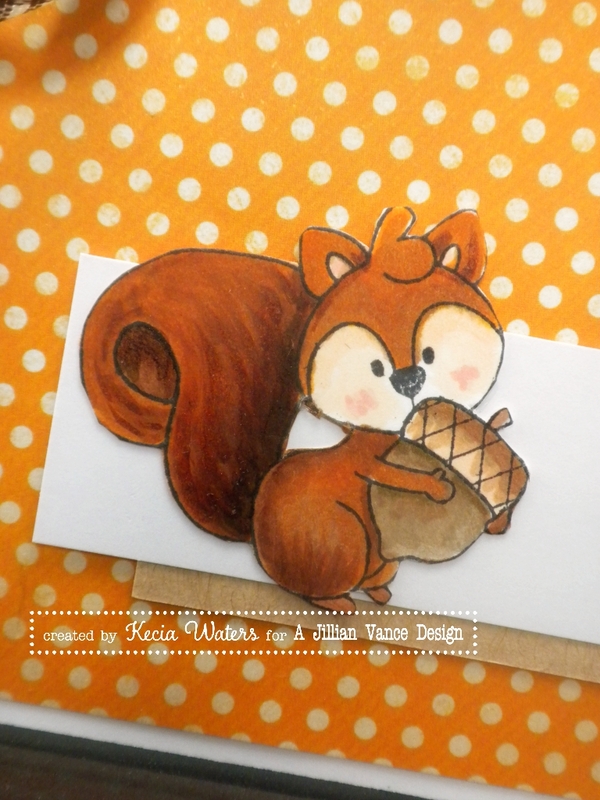 And thanks to those squirrels visiting my yard, for the today's card inspiration.